Below are the current major projects happening across Cheshire. For more information on a project, please contact the relevant Tower. Every project, either large or small, is able to apply for a grant from the Chester DG Bell Restoration Fund. See the Resources page for an application form. If you are undertaking any works and would like to feature on this page, please contact the Guild Bell Restoration Officer. Grappenhall bells are a mixed ring of 8 from around 1700, 1890 and 1899, and in 1997 it was clear that work needed to be done on the installation. In 2013 the PCC gave permission for “The Bell Project” to begin, which will install a modern ring of 10 bells in the tower, with the four oldest bells cast by Henry II Bagley, being hung “dead” above the ring of 10 to conserve them. It is also planned to move the clock mechanism from the ringing room to the belfry, install sound control, install a CCTV system and a simulator to facilitate training without disturbing the neighbours. The ringers are appealing for donations towards their £175,000 target. To donate, please visit their Fundraising Page. The tower has a facebook page with frequent updates. Details of practice arrangements whilst the bells are replaced. 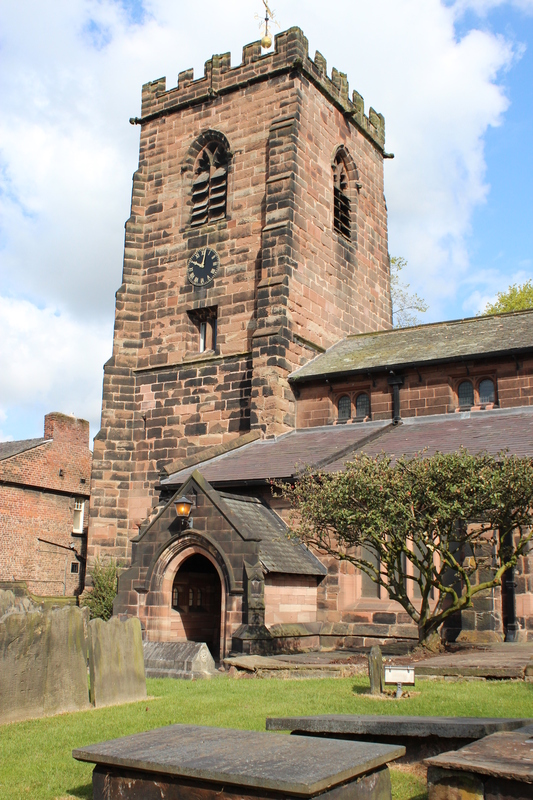 The bells of Runcorn, All Saints, were cast in 1851 by Charles and George Mears of Whitechapel, London, and this makes them the second oldest complete ring of 8 in Cheshire. The bells were last overhauled in the 1930s, and are in desperate need of a major overhaul. The ringers are raising money to have everything removed from the tower, the bells cleaned, turned and tuned, then rehung on the original frame (restored and strengthened) with new fixtures and fittings. This includes the removal of crown staples to allow modern steel headstocks, new self-aligning ball bearings, and an adjusted rope circle to make ropesight much easier in the ringing room. They are appealing for donations towards a target of £75,000. If you would like to donate, and for more information on the project, download the Leaflet. It is with great sadness that we report the passing of Reverend John Orme, a ringer from Runcorn for many years. Faculty granted by DAC for Runcorn to overhaul their bells. The bells of Crewe were cast as a peal of 10 by Gillett & Johnston in 1912, and rang out over the town for nearly a century before disaster struck the church. The church is now demolished, with only the tower and parts of two walls remaining, and is in the ownership of Cheshire East council. Some structural repairs have been made to the tower to strengthen it, and the council are investigating potential future uses for the site. The current ambitions of the South Branch are to get the bells ringing again and eventually rehang them lower in the tower. They are working closely with the council, and are optimistic that a positive, long-term future for these historic bells is on its way. 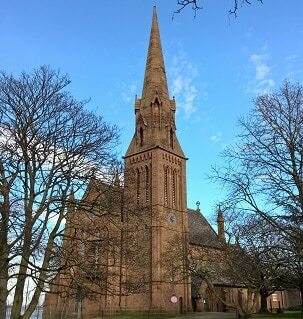 A Viability Report has been commissioned by the Council to investigate the future of the church site.